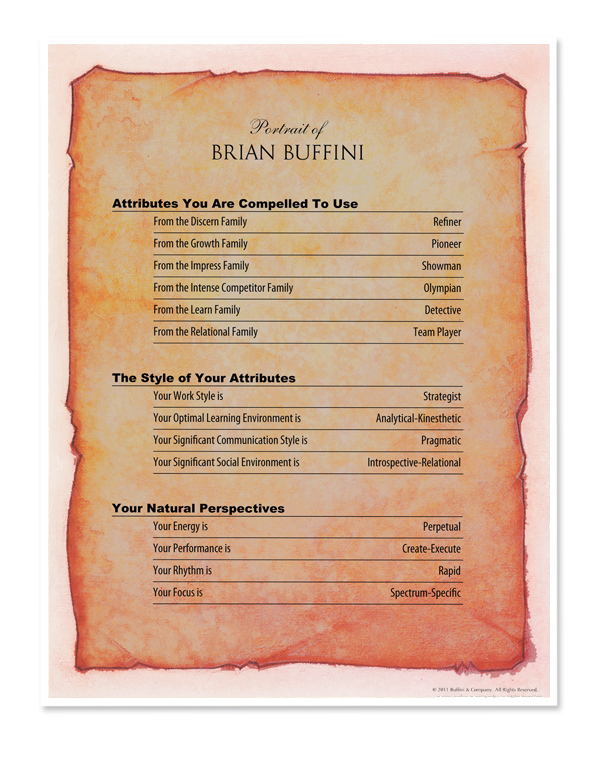 An in-depth personality assessment tool that identifies your core motivations. The Heritage Profile will help you achieve your fullest potential. The insights provided work as a catalyst to break through business and communication roadblocks.